.Eml files are single email files that are saved outside of an email client like Thunderbird. 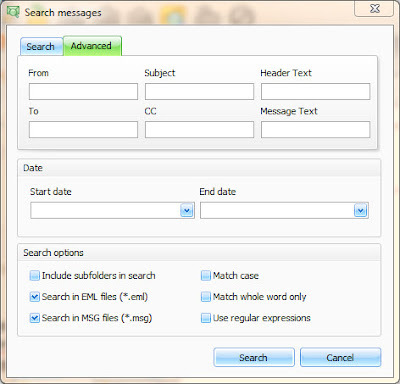 Eml files contain messages, and email meta data including the date, sender, recipient, and file attachments. While it’s not difficult to open a single .eml file in an email client, it can be a challenge to convert and search multiple .eml files. EmlViewer Pro (also known as PstViewer Pro) is a windows software app capable of viewing and bulk searching .eml files. It’s capable of reading a directory of hundreds or thousands of .eml file. 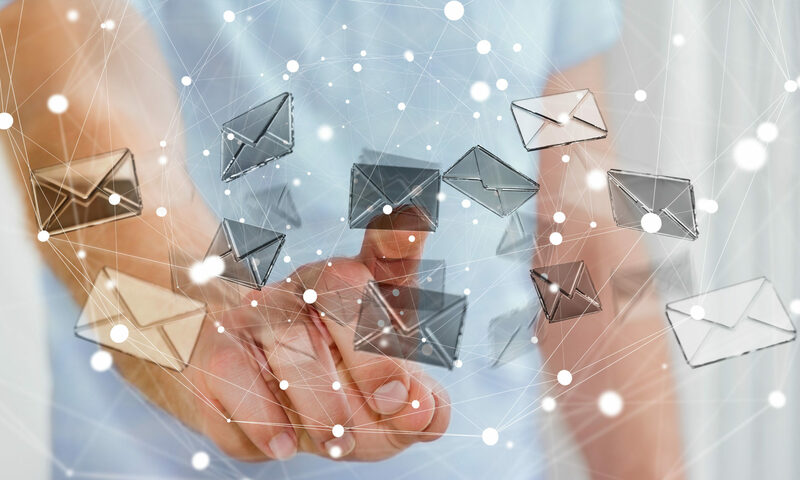 Emails that have been previously stored in a recursive folder structure can be organized into a single mail list for filtering and search. EmlViewer Pro is easy to use. The first step in the conversion process is to read in the .eml files to the mail list. Here you can choose specific emails and see them in the viewing pane. It’s easy to scroll through the emails individually and access their images and file attachments. To convert the .eml files, first highlight those you want to convert. Then, from the “Export” menu, select one of the supported target formats from the drop down list. Choose the format for .eml file conversion. Lastly, click the “Export” button to begin the conversion process. 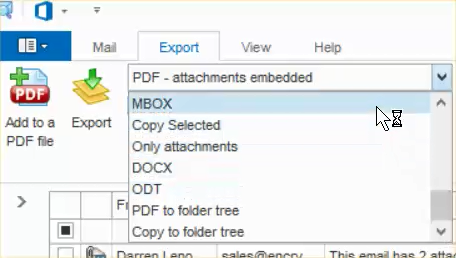 You will have the opportunity to select specific Windows file folder to save the emails to. Download a free trial of EmlViewer Pro. Use it with no obligation for 15 days. An .EML Viewer With Search, PDF Export, and a Great Price! 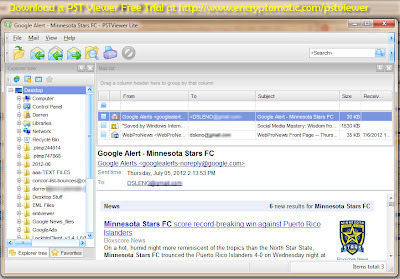 Encryptomatic LLC has just released a “lite” version of their popular Pst Viewer Pro software. If you have .EML and .PST files to manage, consider Pst Viewer Lite. Lite has all of the important capabilities of it’s big brother, but at a great price. Many of us have .EML files archived on our hard disks. Perhaps we intentionally archived our Outlook Express emails, or maybe they were sent to us as email file attachments. You may have just a few .eml files, or you have have thousands. But you can’t view any of them unless the appropriate software is installed. 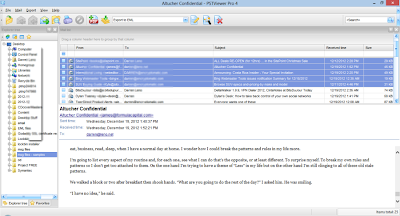 Pst Viewer Lite is an email viewer, the perfect alternative to installing a full fledged email client. Main menu of Pst Viewer Lite, a new viewer for opening .EML files. Pst Viewer Lite lets you browse and search file folders with thousands of .eml files. Even if you don’t have a pile of .eml files, but just want them to open up when you click on one, Pst Viewer Lite can do that too. Just set it as the Windows default for .eml files. You can do this by going to Files > Associations and simply checking the boxes. 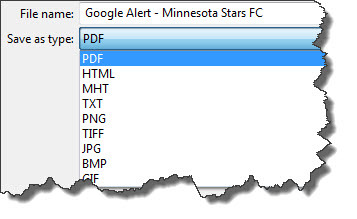 Search .eml or .pst files for important emails, and then convert them individually to .PDF, MHT, TXT, MHT, HTML, GIF, TIF. 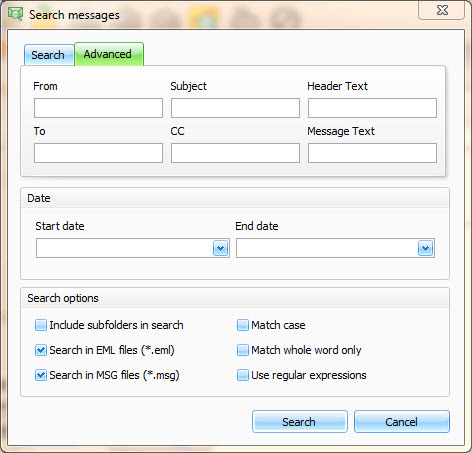 Searching .eml files is very straightforward, and includes Advanced search options that can find emails matching a string in the Subject, To, From, Message Text, or other places. 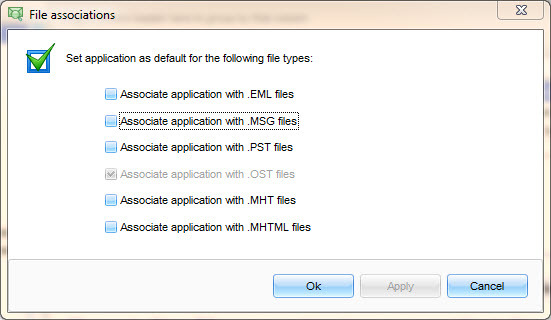 A great feature of Pst Viewer Lite is it’s ability to export a .eml file to .pdf or other formats. To do this, you click on the .eml file in the Mail List window that you want convert, then select “Mail > Save As” and choose PDF or any of the other options. 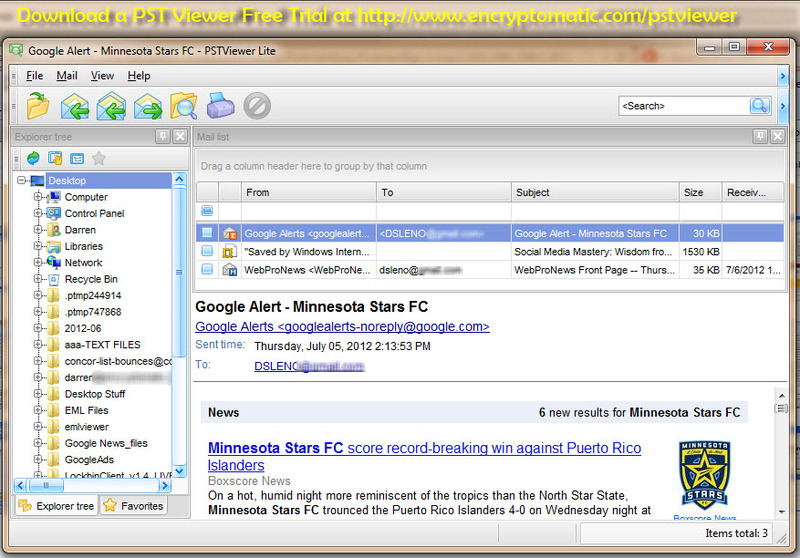 Pst Viewer Lite is an easy to use viewer for .EML and .PST files. You can download a free trial and use it free for 15 days. Click here to go to the Pst Viewer Lite home page.